World of Warcraft is an immensely popular, established RPG that was released in 1994. 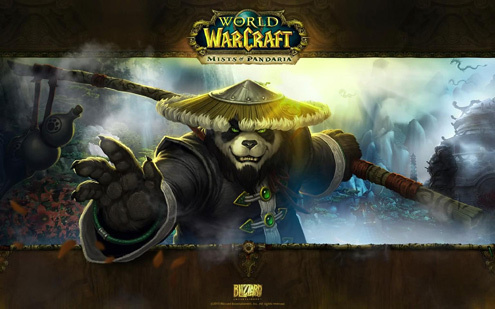 Several game sets and expansions later it has 10 million subscribers with the fourth expansion Mists of Pandaria released on September 25th 2012 (the date was eagerly awaited and much promoted in the same way an Event Movie is marketed). It is the world’s most subscribed MMORPG (see below). Technically WoW is described as a MMORPG (Massively multiplayer online role playing game) and is only available to play online via subscription on PCs and MACs. As such it is interactive and often is played in groups e.g. 5 person, 10 person etc. dependent on what you are doing within the game - teamwork may be required fighting against enemies or individual crafting may involve a more solitary activity like making weapons. Guilds are much larger groups that allow for broader social interaction where players involve themselves in ‘Raids’ which is basically getting into groups to fight larger bosses / enemies. Social interaction from group play can often lead to meet ups with other players from a range of countries evidencing its global appeal.